Sam Schmidt (in the car) and the team of Arrow engineers with Project SAM in the pit lane at the Indianapolis Motor Speedway. Schmidt did some demo laps for the crowd on Carb Day. Project SAM works with a combination of head tracking (for the steering) and a sip-and-puff controller for the throttle and brake. The system is sensitive enough to let Schmidt actually drive the car to its potential; at the Pikes Peak International Hill Climb this year, Schmidt gave a demonstration run up the mountain on race day. His co-driver, Robby Unser, confirmed to Ars that Schmidt did not take things easy. However, Schmidt’s license does come with a few restrictions. For one thing, like the autonomous vehicle testing licenses granted by the state to Google, it’s only valid within Nevada. Also, Project SAM can’t go out if there’s snow or ice on the road, and there needs to be a pilot car ahead as well as a licensed driver ready to take control of the Z06 if necessary. In the late 90s, Sam Schmidt had a promising career as an IndyCar driver, finishing fifth in the championship in 1999 after taking his first win in Las Vegas. In off-season, however, his ascension in the sport was derailed. During testing that following January, an accident at Walt Disney World Speedway in Florida left Schmidt a quadriplegic. In the years since, Schmidt has continued to go racing but as a team owner. He’s watched from the pit as drivers like Simon Pagenaud and James Hinchcliffe brought home glory for Schmidt Peterson Motorsport. 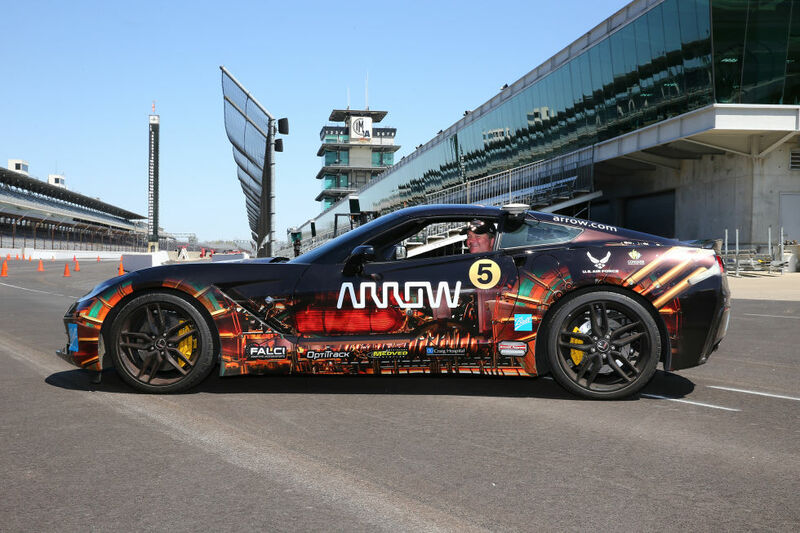 But recently a collaboration with his team’s title sponsor, Arrow Electronics, has placed Schmidt back where he belongs—behind the wheel of a car on track. 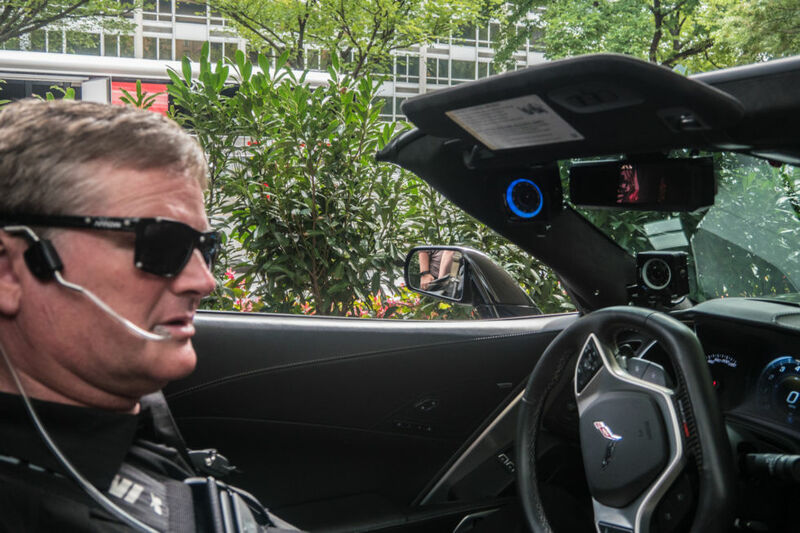 The car is a 2014 Chevrolet Corvette Stingray, and the initiative is called Project SAM for “Semi-Autonomous Motorcar.” However, don’t be fooled into thinking this is a self-driving vehicle. Instead, the core of Project SAM is about mapping the dynamic range of the car’s inputs—steering, throttle, brake—and translating them to a different control format, in this case one suitable for a quadriplegic driver. “We needed to be able to control any feature of the car by using electronic signals and software,” said Chakib Loucif, Arrow’s VP of engineering.